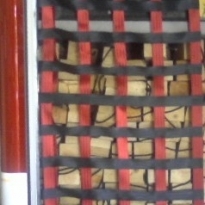 A favorite of fire departments everywhere, these custom-made nets are designed to help prevent unintentional deployment of hose from the rig during transport. Our hose bed nets meet NFPA 1901 Standard which states "any hose storage area shall be equipped with a positive means to prevent unintentional deployment of the hose from the top, sides, front, and rear of the hose storage area while the apparatus is underway in normal operations." NOTE: All nets are special order and are not returnable. Please assure accurate dimensions and net anchorage when ordering. Also, please note that while our nets are extremely durable and strong, proper mounting and the use of anti-flaking straps, tarps or doors on the top of the hose beds create the highest success in containing your hose. 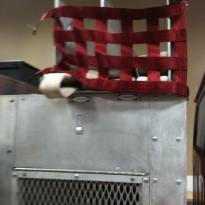 Our nets are manufactured from seat belt webbing that is load tested at 6000 lbs. The web stitching is rated at 2500 lbs. We have prepared a measurement guide to assist you in finding out what size to order for your truck. Our nets come in either black or black and color of choice here> View our color guide and pick your choices. We recommend at least two colors per net for increased visibilities.